A stunning work from the heart. 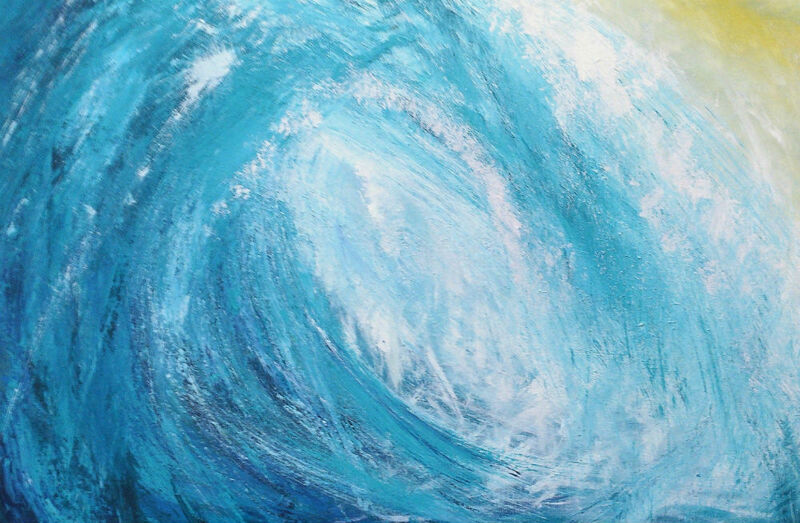 Beautiful teals and white transform with much texture into a crashing wave, movement, emotion and inspiration. This has been produced using professional heavy body Golden Acrylics on Winsor and Newton canvas board, therefore it can be framed to suit your naked wall. Perfect, enjoy and be inspired…. All times are GMT 0. The time now is 7:10 pm.